When my family and I were preparing to leave Salt Lake City I took photos of my outfits (lots in a friend's beautiful back yard) but in the mix of it all most of them did not get uploaded. Along with current photos I'm going to be posting past ones that never made it to the big show. Some of the items may not currently be available for sale but I hope that my outfits will give you some inspiration for your own looks. 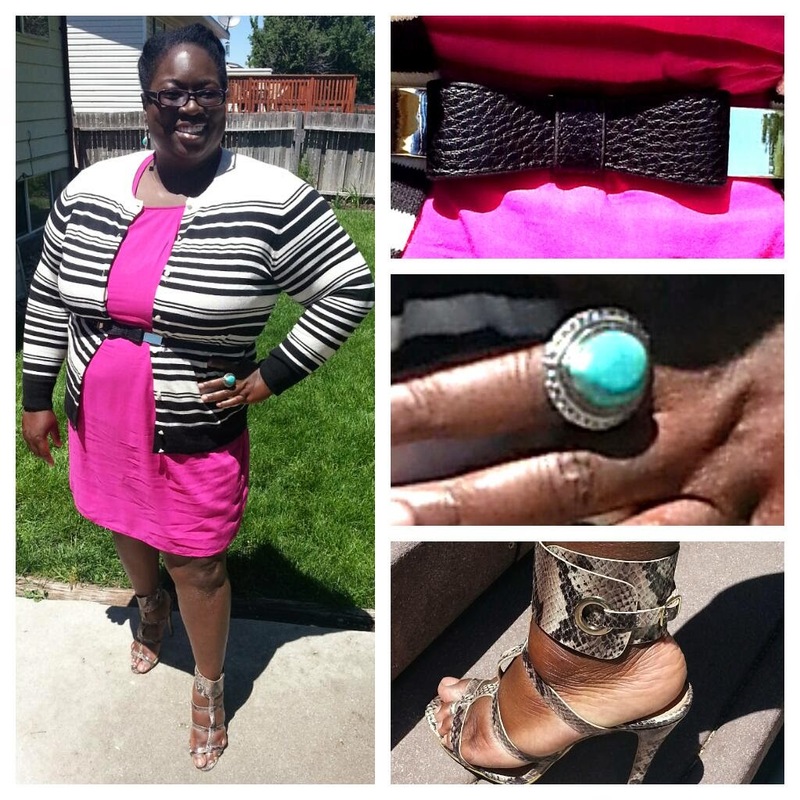 Fuchsia dress: Old Navy, Cream and black cardigan with pearlized buttons: Target, Strappy snake print sandals with ankle cuff: Shoedazzle, Belt with gold hardware and faux leather bow: Eloquii, Large turquoise ring (and earrings): eBay.